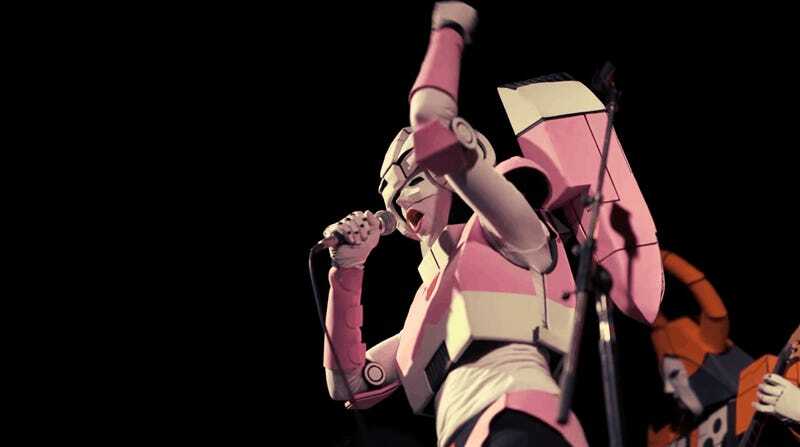 The Cybertronic Spree are a band who specialise in covers of songs from games, anime and movies. And, when the mood takes them, Led Zeppelin as well. That’s a fun enough premise on its own, but then, they also do it cosplaying as Transformers. And it’s really good cosplay, too! Aesthetically pleasing, accurate to the source and best of all, practical enough to still allow for crooning and double kicks. I bet it gets real hot in those suits.